Cook ground venison, mushrooms and onion in skillet until browned. Stir in chopped olives, garlic powder, cumin, chili powder and salt. Set aside. Combine the mushroom soup, milk and sour cream in a separate saucepan over low heat. Be sure to stir until warm. Remove from heat. With a large spoon fill venison mixture in the center of each flour tortilla. Roll up the tortilla and place seam side down in a 12x8x2 inch baking dish. 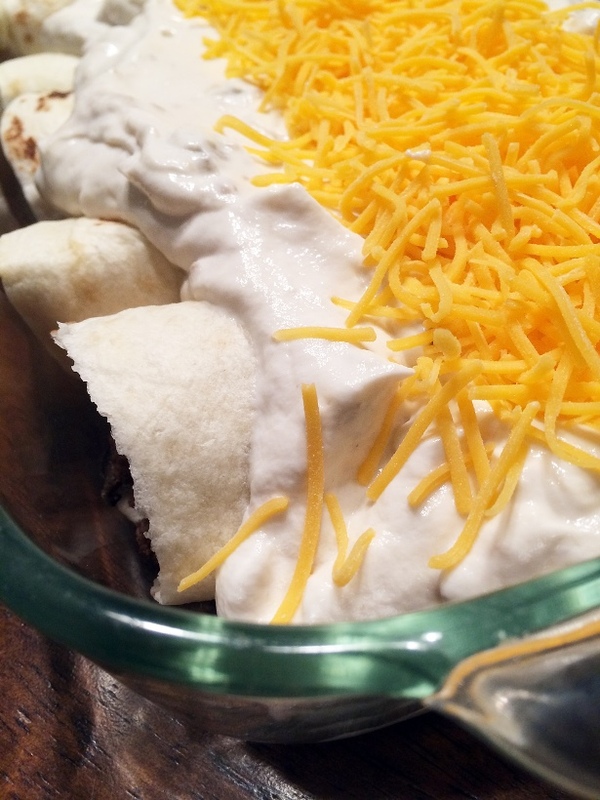 Pour the sour cream sauce over the tortillas and top with cheese. Cover loosely with tinfoil and bake for 20 minutes. Remove foil and continue to bake until all cheese is 100 percent melted. 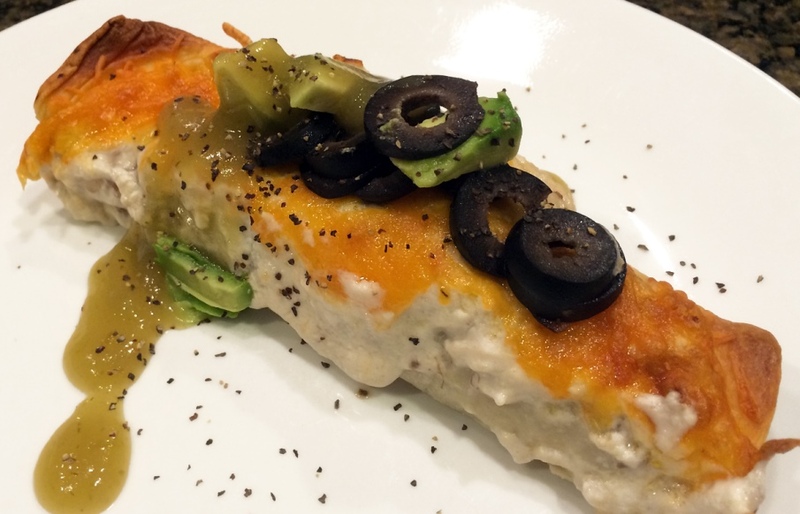 Enjoy with fresh avocado, olives and taco sauce.